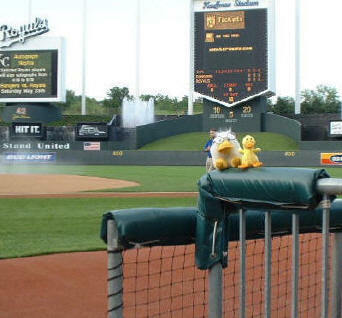 Junior and baby Quackers take in a Kansas City Royals Base ballgame. Baby Quackers with the ravens at the Tower of London. 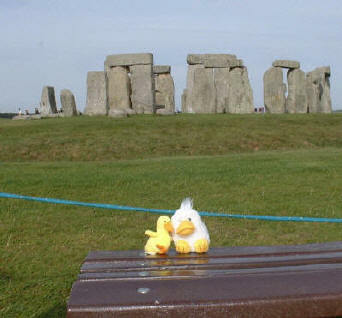 Junior and baby Quackers visit StoneHenge. Junior goes to a St Louis Blues Hockey game. 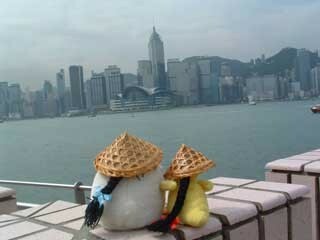 Junior and baby Quackers meet a mime in Buenos Aires, Argentina. Junior hobnobbing with the Greek Philosophers at the British Musium.